In the middle of Berlin, in the heart of politics, economics and culture CA Immo is realizing cube berlin. 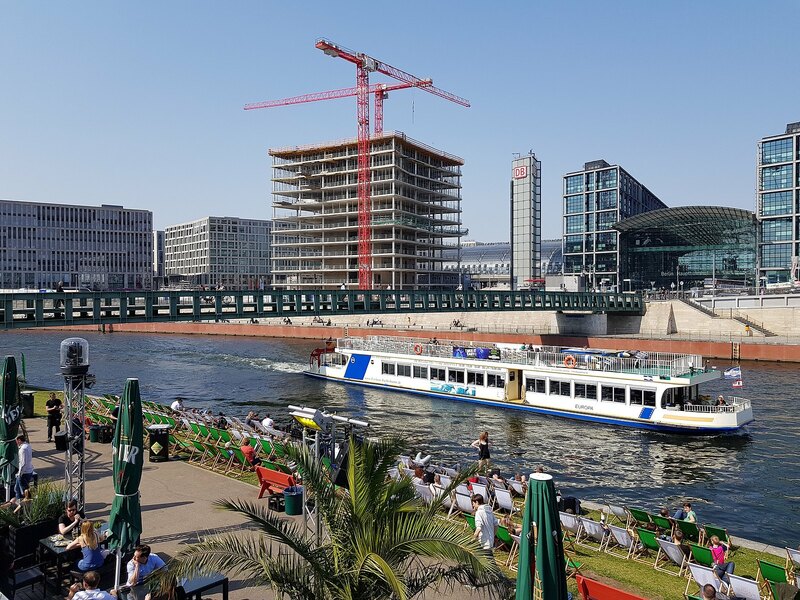 The solitaire is located on Washingtonplatz, directly to the Berlin`s central station and Spreebogen, with a view on the german government district. The office building is part oft the Europacity. 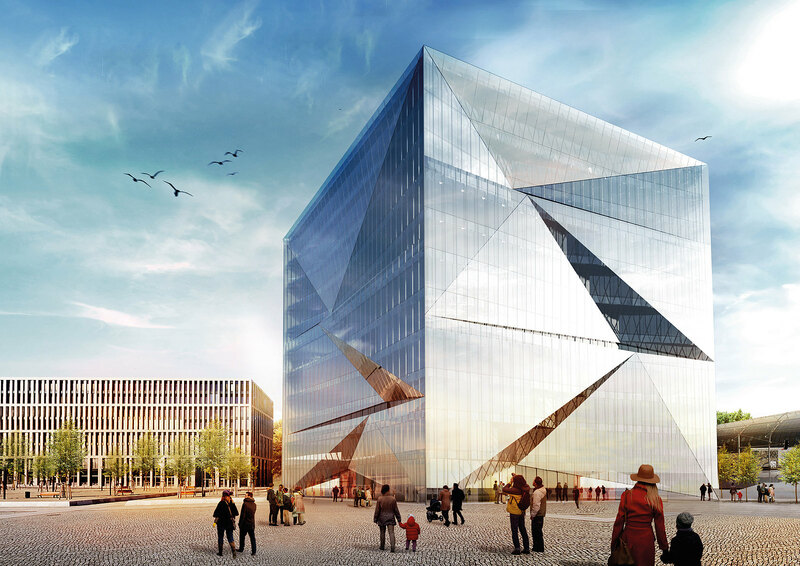 The exceptional architecture was created by 3XN Copenhagen. From the outside, the four-sided building in front of the Hauptbahnhof seems like a gigantic modern sculpture. The double facade features dynamic recesses that offer space to step outside. All ten upper floors have a terrace on one entire side of the building, alternating by floor. An inviting ground floor with openings on all four sides welcomes visitors. The two-story office lobby is available as a shared space for a cafe, informal meetings, and coworking. 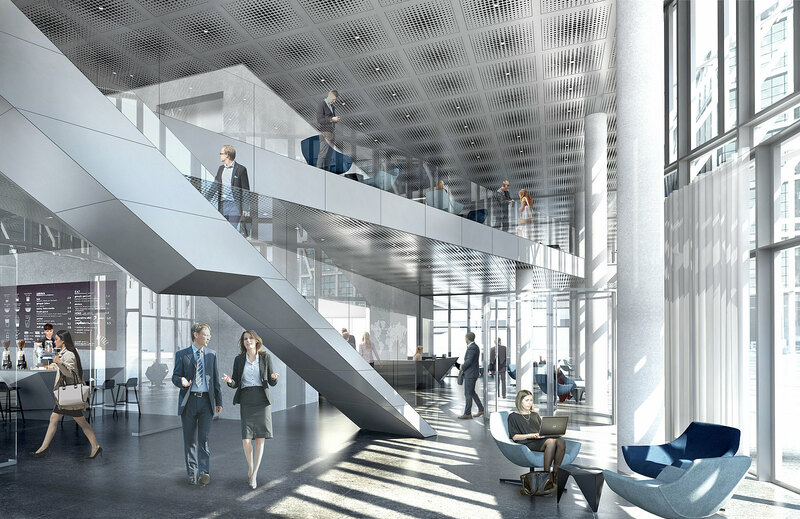 The first floor—with a view of the Spree—can be combined with the ground floor and used as an open office reception. All the floors have a spacious and open design with flexible rental units from 300 m² to around 1,370 m² on each floor. The building also features a rooftop terrace with unique views across Berlin. 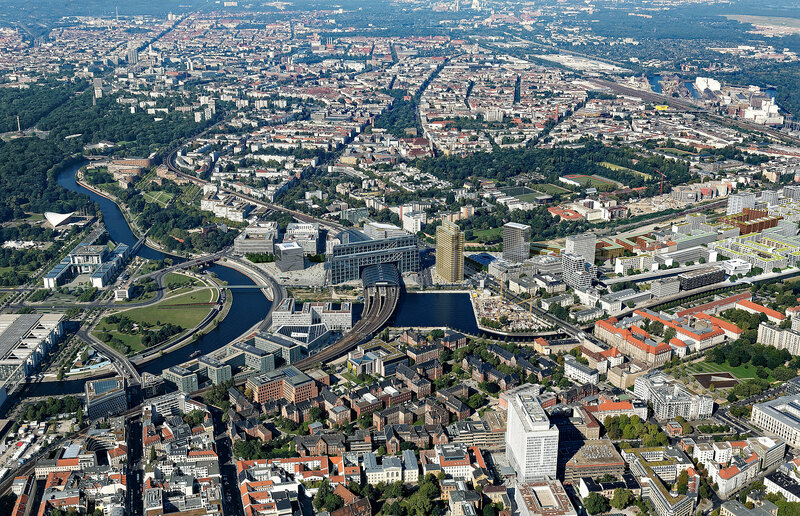 CA Immo has sold cube berlin to Nuveen Real Estate, a large institutional funds manager. The office building will be built and let on behalf the investor by CA Immo. The construction was started in 2017.